When it comes to train travel in Europe, the big question is always the same: is it better to purchase a railpass or point-to-point tickets? 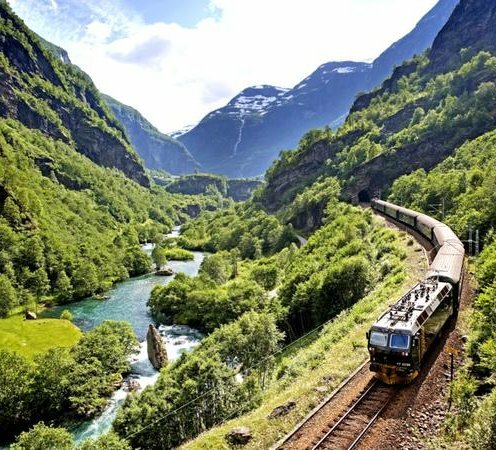 Railpass marketing is persuasive, and I'm often emailed by travellers who want to make two or three train trips which could easily be booked online for €30 ($40) each, asking if they should buy a $500 railpass. So check out these four different options before assuming you need a pass! These prices were correct at the time of writing so please use them as a rough guide only! When to use it: If you intend to clock up a fair old mileage and (crucially) want to stay completely flexible, then a railpass can be the just the ticket. It's especially likely to be the best bet if you're under 26, as 'youth' passes are much cheaper than adult passes and better value compared to normal tickets. How it works: You can buy a pass covering most of Europe ('Global') or just one chosen country, for a variety of different durations, from either the Eurail pass range if you live outside Europe, or the InterRail pass range if you're a European resident. 'Continuous' passes give a number of consecutive days' unlimited rail travel, ideal if you're going to be on the go much of the time. 'Flexi' passes give a number of days' unlimited train travel to be 'spent' on any dates you like within the overall duration of the pass, making them more economical if you plan to stay put between journeys. A word of advice: If you buy a pass, remember that there may be extra charges to pay. In France, Italy and Spain, virtually all long distance trains require passholders to pay a reservation fee, typically €3-10 a trip. Thalys trains from Paris to Brussels and Amsterdam now charge passholders a whopping €39. On the other hand, in Switzerland, Germany and Austria reservation is hardly ever compulsory and there are few if any passholder surcharges. Passes also don't cover Eurostar between London and Paris - there's a £57 passholder fare, but if you book in advance on the Eurostar website you'll find regular one-way fares from £39. You'll find more pass information on the Eurail website or the InterRail website. When to use it: This option makes more sense than a pass if you're only going to make short journeys, or journeys in Eastern Europe where fares are so cheap anyway. * Where are you from? Buy the cheese in bulk and make Macaroni and Cheese cheaper with whatever pasta you d like, including Gluten-Free pasta! Comes in a plastic container with a lid. Heat sealed for safe traveling. If you order 2 pounds, you will receive 2 plastic containers. While in Europe, Sarah and Chuck realize they’re traveling on a train with Spanish spies. Even though they’re all alone, they decide to take on these rogue agents. Of course, this impromptu mission doesn’t go smoothly. Meanwhile, Beckman orders her newest “unlikely” spy team – John Casey and Morgan Grimes – to track down the missing couple.